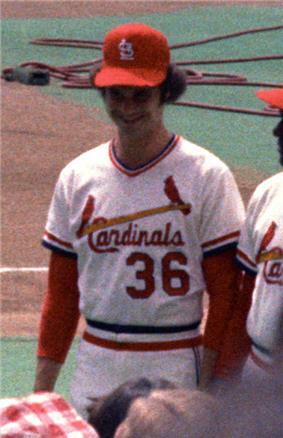 John Allen Denny (born November 8, 1952 in Prescott, Arizona) is a former right-handed Major League Baseball pitcher from 1974 to 1986 for the St. Louis Cardinals, Cleveland Indians, Philadelphia Phillies, and Cincinnati Reds. He won the Cy Young Award in 1983. ^ Reichler, Joseph L., ed. (1979) . The Baseball Encyclopedia (4th edition ed.). New York: Macmillan Publishing. ^ Rein, Richard K. "The Prayers of Born-Again Pitcher John Denny Were Answered with An Award-Winning Season", People, April 9, 1984. ^ "John Denny Minor League Statistics & History". baseball-reference.com. Retrieved 2010-10-31. ^ a b "John Denny Chronology". baseballlibrary.com. Retrieved 2010-10-31.